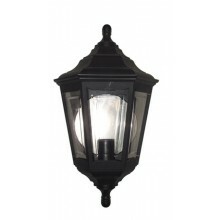 This product is a classic lantern that is suitable for outdoor use in a garden or on a porch or patio. 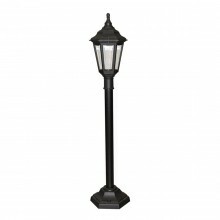 It has a classic style design that is attractive and blends well into any outdoor setting. 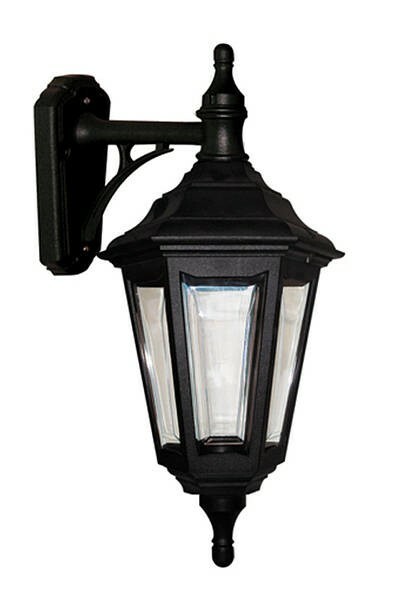 However, unlike many outdoor wall light fixtures, it can be easily mounted on a wall and does not require floor space or a ceiling mount. This light is IP44 rated and uses one 100w bulb for a great outdoor ambiance to help you enjoy your favourite outdoor setting in safe and comfortable lighting. 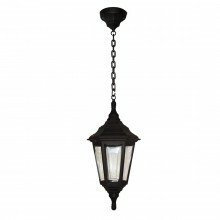 Its black finish helps it to fit well into many different styles of decor and architecture. It also comes with an impressive 20 year guarantee!